Washington: Soy-based whole foods, such as tofu and soy milk, can improve women’s bone strength and counter the negative health effects of menopause, a study has found. Researchers from the University of Missouri in the US studied the effects of soy versus corn-based diets on rats selectively bred to have low fitness levels. The found that soy in food may not only counter the negative effects of menopause on bone and metabolic health, but also have positive impacts on bone strength for women who have not yet reached menopause. “The findings suggest that all women might see improved bone strength by adding some soy-based whole foods, such as tofu and soy milk, to their diet,” said Pamela Hinton, a professor at University of Missouri. “We also believe that soy-based diets can improve metabolic function for postmenopausal women,” said Hinton. The rats were divided between those with and without ovaries to mimic effects of menopause. Prior research has found that these rats are good models for menopausal women. They compared the impact of the soy diet on bone strength and metabolic function to rats fed a corn-based, soy-free diet. “As such, understanding how dietary protein sources, such as soy, can impact metabolism and bone health in these rats can help us better understand how such diets might impact women’s health across the lifespan,” said Victoria Vieira-Potter, an associate professor at University of Missouri. The researchers found that the tibia bones of the rats that were fed soy were stronger compared to the rats who were fed the corn-based diet, regardless of ovarian hormone status. Moreover, they found that the soy-based diet also improved metabolic function of the rats both with and without ovaries. “This study showed that women might improve bone strength by adding some soy-based whole foods to their diet,” Hinton said. 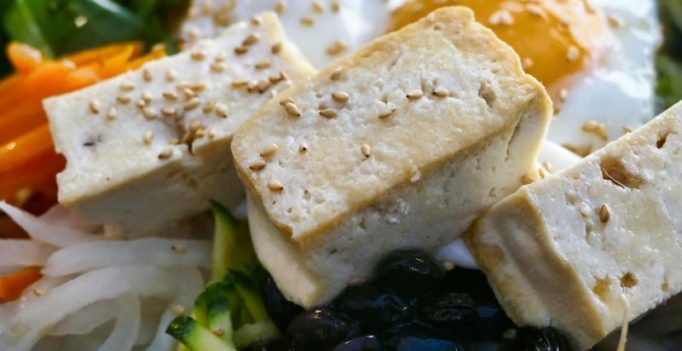 “Our findings suggest that women don’t even need to eat as much soy as is found in typical Asian diets, but adding some tofu or other soy, for example foods found in vegetarian diets, could help strengthen bones,” she said.